Only after escaping their burning home did Mattie Culbreath and her family realize her grandmother was missing. Culbreath’s mother frantically called for her mother to get out of the house. The neighborhood’s wooden homes stood close together, and with the house next door caving in flames, not much time remained. “A little white boy coming from the Boulevard elementary school saw my mother’s distress and said, ‘You want me to go in there? I’ll get your mother out,’” Culbreath recalled. The boy, who wasn’t yet 12 years old, went into the house and brought Culbreath’s grandmother to safety. One hundred years have passed since that day when the Old Fourth Ward burned and the Great Atlanta Fire of 1917 transformed the area. 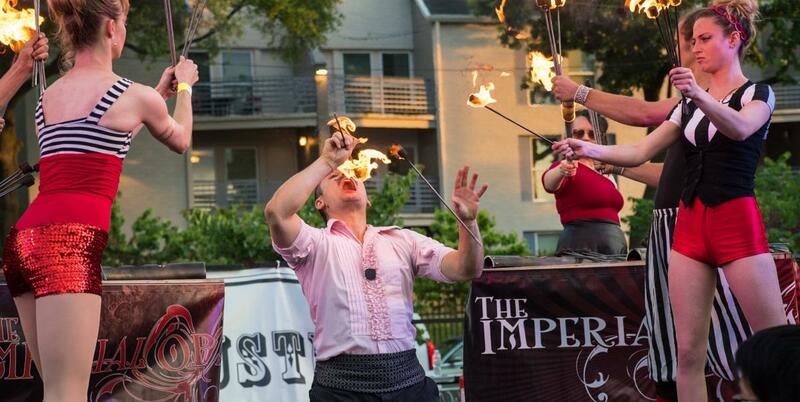 The Fire in the Fourth festival now commemorates the events of May 21, 1917, and, this year, the festival will mark the fire’s centennial with interactive installations, historical tours, fire performances, pop-up marching bands and more. It takes place May 20 from 3 to 11 p.m. on Edgewood and Auburn avenues between Boulevard and Jackson Street. The idea for the festival began when the Old Fourth Ward Business Association (O4WBA) was thinking of themes for a potential festival to attract people to the area. The O4WBA learned about the Great Atlanta Fire, and a festival was born in 2015. The Old Fourth Ward is one of the oldest parts of Atlanta, and prior to 1917, black and white residents both lived there, said Atlanta History Center executive historian Calinda Lee. “It was relatively racially integrated, which is not to say that the conventions of Atlanta were completely put aside in the Old Fourth Ward, but as you move kind of from block to block, there was much more interracial mingling,” Lee said. 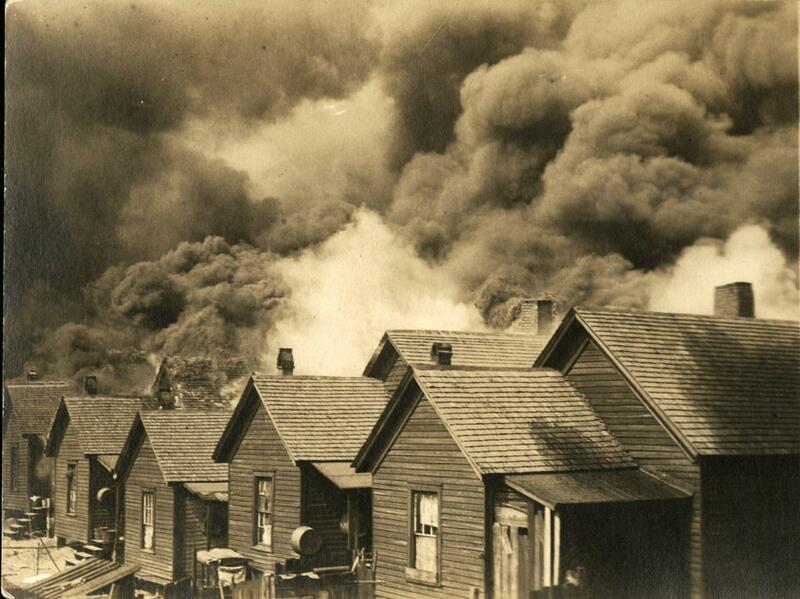 In 1917, a fire broke out – or maybe it was multiple fires. Nobody is certain, Lee said. To this day, the cause of the fire is also unknown. 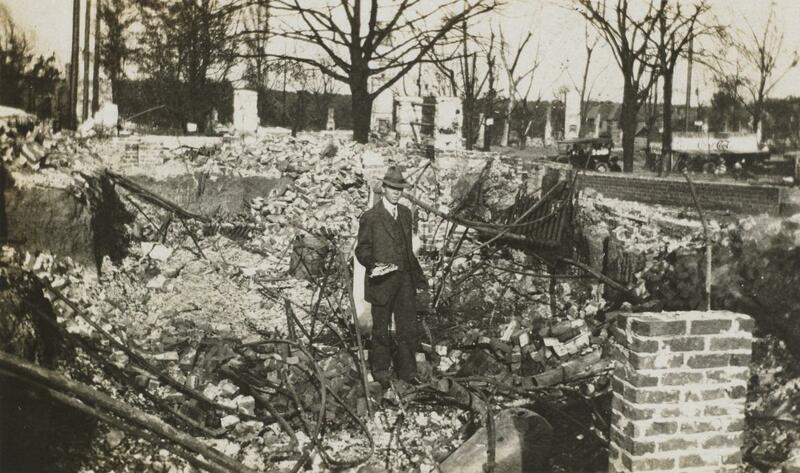 Theories at the time ranged from the fire being an unfortunate accident to the work of World War I spies. What is certain is that the fire spread quickly because of the wooden houses set close together and a hot, windy day. There was no easy access to water because few fire hydrants lined the streets. “You can imagine trying to fight this fast-spreading fire, but you don’t have easy access to water to do this. You can understand how it spread in the way that it did,” Lee said. The mayor decided the only way to stop the fire was to starve it of kindling. The city dynamited the houses at Hunt and Pine streets and at Ponce de Leon Avenue and Boulevard, leaving the fire nowhere to expand. After 10 hours, the fire finally died. By that time, it had destroyed almost 2,000 buildings and more than 300 acres. About 15,000 people lived in the Old Fourth Ward at the time, though Lee called this a conservative estimate. One person died, a woman who had a heart attack as she watched her home burn. The fire displaced at least 10,000 people. “It left 10 percent of the population of the city homeless at a time when there were really no governmental resources at all for homeless people,” Lee said. In the aftermath of the fire, civic organizations, such as churches, and people who still had houses took in the homeless. 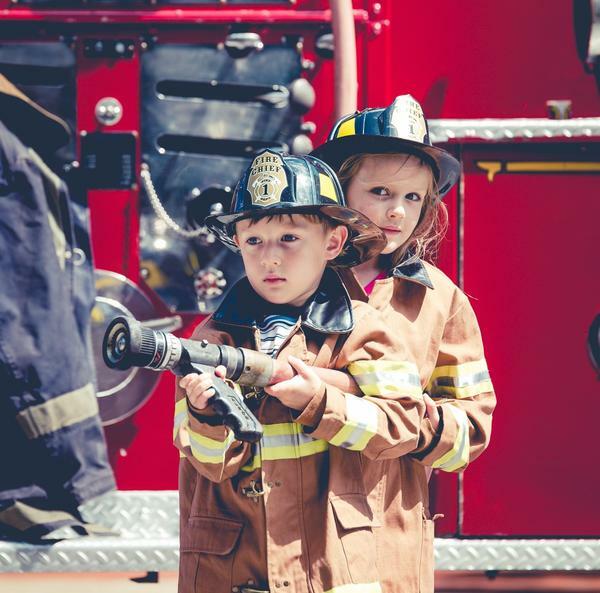 It’s this spirit that emerged in the wake of the fire, that sent a little boy into a home to rescue an elderly neighbor with no regard for race, that the festival celebrates. “It’s actually probably a relative high point in race relations in the city to the extent that there are all these oral histories where people talk about helping each other across race,” Lee said. Years later, Culbreath’s story of her grandmother’s rescue was recorded, with the audio now available at the Atlanta History Center. “It’s at that point that you realize that she was an African-American woman and this was a white neighbor,” Lee said. But the Old Fourth Ward changed after 1917, introducing residential segregation. Over the next century, the Old Fourth Ward went through different periods, from its role as a thriving center for black residences and businesses to its decline when integration allowed black shoppers to go elsewhere. By the 1990s, gentrification began to take hold. Now, projects such as the Beltline’s Eastside Trail have reshaped the Old Fourth Ward – even in the two years since the first Fire in the Fourth festival began. For the centennial of the Great Atlanta Fire, Fire in the Fourth will have an interactive installation teaching attendees about the last 100 years of Boulevard’s history. It includes tour guides ushering visitors through images spanning 1917 to 2017 and an actress portraying “Gone with the Wind” author Margaret Mitchell, who helped in the Old Fourth Ward after the fire. After having 8,000 people attend the festival in 2016, Ohme estimated close to 9,000 this year. “This community is really all about resilience and rejuvenating itself and still being connected to its historical roots,” she said. The Old Fourth Ward has become a desirable location to live. Lee said the area’s diversity is part of the draw.